In today’s ever-changing work environments, office reconfigurations are more frequent and necessary than ever. 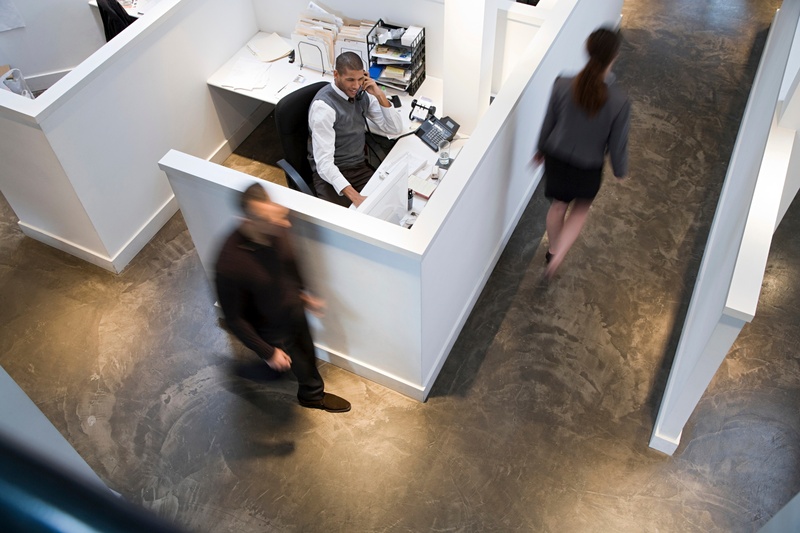 Whether it’s organizational growth that outpaces current office floorplans, large scale re-orgs or simply the desire to accommodate new and innovative workstyles, facility managers not only must find ways to keep pace with the often fluid nature of today’s competitive organizations, but do so with ease and minimal investment. Facility managers are faced with the challenge of anticipating and planning for their organization’s current and future needs -- a tall order for those without a crystal ball. And yet, there’s a simple way that they can meet the varied and ever-changing needs of the organizations they support, both now and into the future: by investing in reconfigurable office furniture made with quality materials and craftsmanship. When change is so frequent, opting for inexpensive, lightweight products in trending designs might be an appealing solution; however, these products are often not constructed to withstand the typical demands of a commercial environment, such as frequent reconfiguration, storage and re-deployment, leaving facility managers and organizations continually spending to replenish and maintain inventories. Horizontal grade surface laminates from respected manufacturers such as Wilsonart, Formica or Pionite have superior abrasion resistance and durability compared to other surface materials. Commercial grade wood materials in heavier thicknesses will maintain integrity over time, and avoid sagging under the weight of monitors and other office equipment. Polypropylene edgebanding is non-toxic, durable and colorfast when compared to PVC based materials. Powdercoat finishes create a durable, rust-resistant coating on metal surfaces that outlasts paints that chip and flake. Versatile and timeless color finish selections, rather than the latest trending material, will retain their aesthetic as they age. Beyond simply raw materials, the design features inherent to a furniture product also contributes to its longevity -- particularly its ability to adapt to changing demands. Modular components that use standardized sizing and construction techniques allow organizations to build an inventory of interchangeable furniture components that meet their particular needs. Also known as a “kit-of-parts,” these items may interchange and recombine to create novel configurations to support changing demands. Height-adjustable desks are able to suit individuals across height ranges and workstyles. For instance, if one department prefers standing desks but another does not, the same inventory of adjustable desks can accommodate a wide variety of needs and preferences more efficiently than other solutions. Universal components that eliminate the need for right and left-handed inventory, such as universal surface shapes and bracketry simplify long-term use, storage and re-deployment for facilities staff and installation teams. By eliminating unnecessary parts and pieces, products that incorporate universal components save time and money. Furnishing a commercial office workplace is a large commitment and can be a substantial expenditure. Selecting products made with quality materials and craftsmanship and that possess thoughtful design features is the best way for facility managers to balance the competing demands of a workplace's immediate and long-term needs. Specifically, furniture products that are not only durable but reconfigurable deliver the immediate benefits of high quality office furniture with the assurance that they can stay relevant and last well into the future.